Is Newcastle The New Epicentre For NSW Retail Sales? Retail investors looking to secure regional or sub-regional retail assets have joined potential first home owners as a group struggling to get a foothold in the market. As a result, Newcastle is experiencing a significant compression of yields and seeing an improvement in investor confidence. Savills National Director of Retail Investments Steven Lerche said this result came off the back of the NSW Government's Urban Renewal Strategy for the region. “Newcastle is seeing a surge in investment activity, largely stimulated by the $6.55 billion State Government investment mandate which has brought to light the new light rail system on Hunter Street, the new transport interchange at Wickham, construction of the Newcastle City University Campus and much more. “We are seeing a lot of investor interest come from the Sydney investment market and interstate markets such as Melbourne and Brisbane due to the significant growth prospects of Newcastle," he said. "Retail assets have been in particular favour with developers due their strategic locations, large site area, existing income stream and potential to re-develop under the existing planning controls." The City of Newcastle projecting that in 2036, Newcastle’s population is forecast to be approximately 198,350 up from 165,050. According to Deloitte Access Economics, Newcastle contributes $38.5 billion or 28 per cent into the regional NSW GRP and has a strong unemployment rate of just 5.4 per cent, compared to the national average of 6 per cent. One example of meeting retail demand is a centre in Elermore Vale, nine kilometres west of Newcastle, hitting the market for the first time in seven years. Located at 133 - 137 Croudace Road, Elermore Shopping Centre is a single level, enclosed neighbourhood shopping centre comprising a large Ritchies SUPA IGA supermarket supported by 17 non-discretionary specialty tenants. It serves Elermore Vale's key primary population of 5,759 residents and an estimated population of 20,459 within the main trade area. 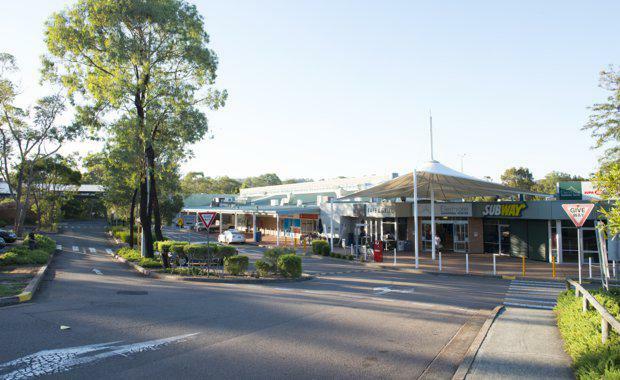 Elermore Shopping Centre offers 4,048 square metres of gross lettable area on a 23,882 square metre site including additional land ready for development, car parking for 235 vehicles and an estimated net income of circa $1.44million. According to Savills Associate Director of Retail Investments Andrew Palmer, the median house price in Newcastle is $530,000 compared to approximately $1.1million in Sydney and investors are taking notice. "It is interesting to note that a new State Custodians Galaxy Poll showed while a high proportion of Victorian investors (72 per cent) are still set on buying in Melbourne, almost half of NSW investors (49 per cent) are looking beyond the big smoke to invest their money. "160kms north of Sydney, Newcastle is Australia’s seventh largest city, the sixth most visited place in Australia, the second most populated area in NSW, the largest regional economy in Australia and has the world’s largest coal exporting harbour.